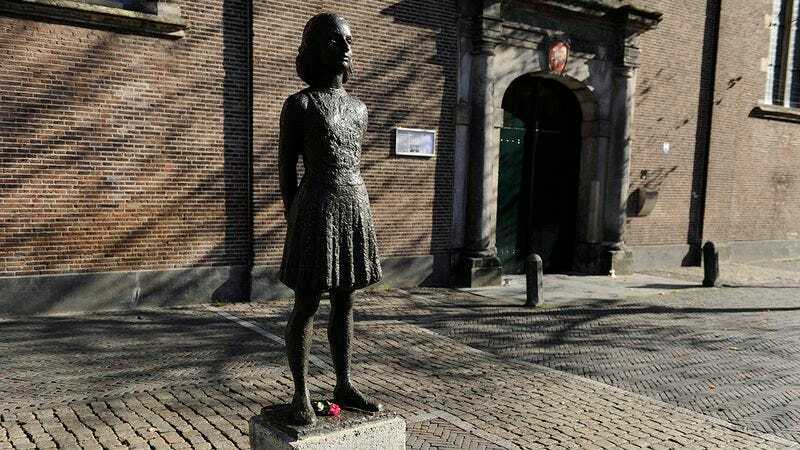 Visiting the secret annex where Anne Frank hid from Nazi persecution is a moving experience, and you may find it difficult to leave in a socially acceptable amount of time. Just look for these five signs you may be sticking around the Anne Frank House just a bit too long. 1. Everyone in the museum gets quiet and stares at you whenever you walk near the exit: Pay special attention to any sudden changes in the Anne Frank museum’s atmosphere when you find yourself walking toward the exit, as a complete lack of talking and intense focus on your every movement may indicate that you’ve become a burden. A muted room may not be obvious considering the gravity of the subject matter, but if it always seems to coincide with you approaching the vending machines that are right by the doors, the collective sigh you hear when you get your money out should serve as further confirmation that it’s time to mosey on. 2. The Anne Frank House employees have put a padlock on the break-room fridge: All guests should take as much time as they need to soak up the important lessons about human dignity that Anne Frank’s story has to offer, but if you notice that the staff fridge is all locked up the eighth time you go foraging a meal from the snacks and lunches in there, the writing might be on the wall. 3. You notice yourself paying the janitor 100 euros a night to not tell anyone that you sleep underneath the “Rise Of Nazism, 1933-1938” exhibit: As a rule of thumb, if you have to pay someone to not kick you out of a building, you have probably worn out your welcome. Might be time to grab your hot plate and toothbrush and leave through the Anne Frank bookstore and café. 4. Multiple assistant curators have resigned, citing your presence as a reason: Ask yourself honestly, how many assistant curators have resigned since you arrived? And of those who left, how many exit interviews have you stumbled into only to hear them name you as their main reason for leaving? If the answer is three or more, then you are putting out the museum staff and you should try to find a way to minimize your stay. 5. The Norwegian documentary crews seem to have switched focus to you: A lot of people overlook it, but the behavior of a foreign documentary crew can reveal loads about how you’re coming off to people at the Anne Frank House. A cameraman that was once filming the annex but now only follows you around can be an indicator that your prolonged stay is becoming more interesting than the museum itself. If a producer comes up to you with a release form, just sign it and hit the road.